From the engineered foundation to its 70’ high peak, this Sukup grain bin is built to be a high capacity work horse capable of holding nearly 90,00-bushels. 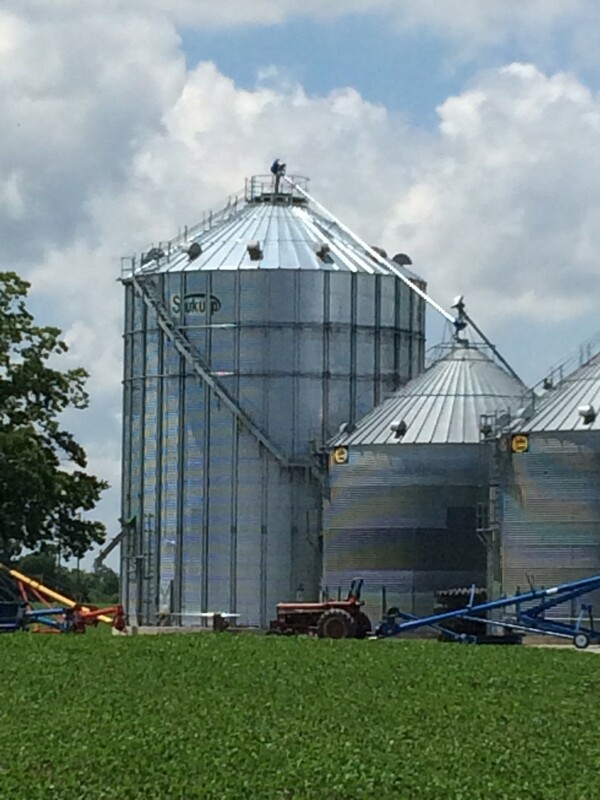 To best meet the customer’s objectives, our team also outfitted the exterior of the bin with a brand-new Shivvers transfer auger and the inside with state-of-the-art temperature sensing cables from TSGC – the leader in temperature monitoring equipment. Finally, the high capacity truck loadout spout is capable of filling a semi-truck in two minutes! When efficiency, productivity and time count, you can count on the professionals at FS Construction Services for all your grain system needs. This is just one of a variety of buildings we can provide for you. At FS Construction Services, we are here to build what you want in the fastest way possible. For more information regarding building construction, please do not hesitate to contact us at 866-551-3454. We look forward to providing you with the best customer service experience.